Need help planning a family dinner? Impressing a date? Or perhaps you’re looking to eat healthier? Chef Deah can help you! 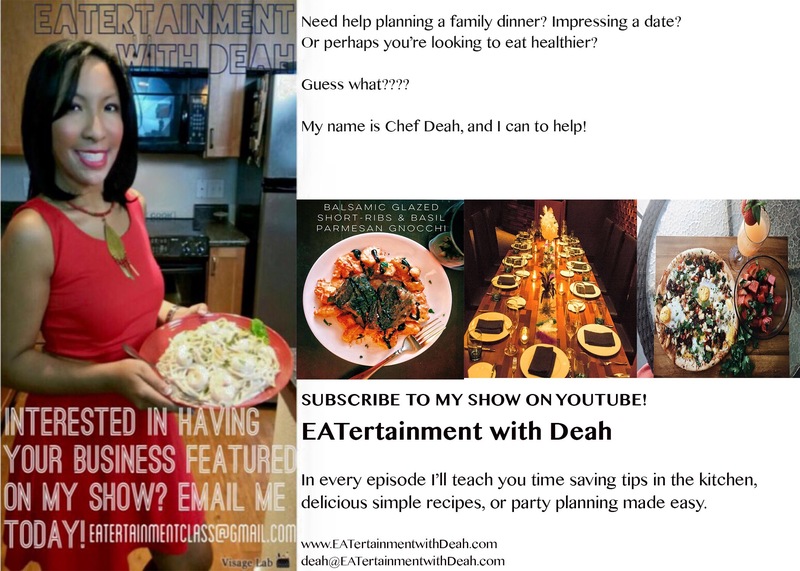 Subscribe to EATertainment with Deah on YouTube and be sure to visit her site at http://www.EATertainmentwithDeah.com.